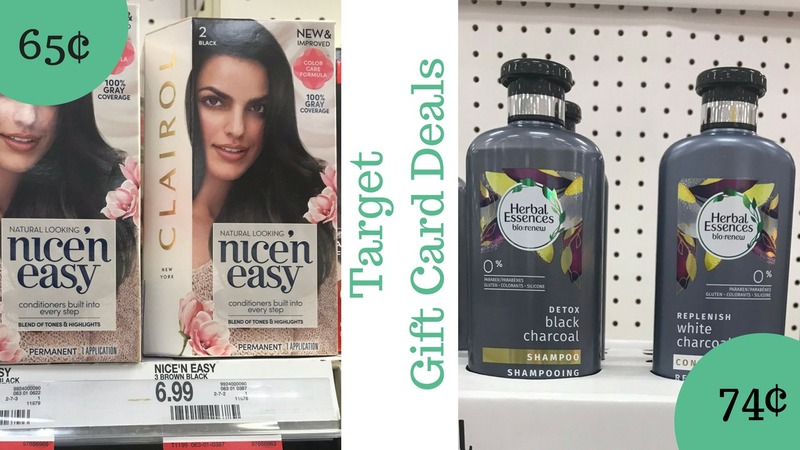 Home > Target > Target Deals: Herbal Essences Bio:Renew 74¢ and Clairol Hair Color 65¢! Target Deals: Herbal Essences Bio:Renew 74¢ and Clairol Hair Color 65¢! This week Target is offering a coupon for a $5 Target gift card when you buy $20 in personal care items. You’ll find this in the weekly ad or in your Target App (look in the wallet section). I found two other gift card deals running that overlap with the in-ad coupon! Pairing all the deals together (with coupons of course) you’ve got super cheap shampoo, conditioner and hair color!! Check out the deal ideas below! Makes it 74¢ ea. after gift cards! Makes it 65¢ ea. after gift cards!